High-key lighting and Low-key lighting. Two sides of the same dramatic coin. Both take a lot of prep and experimentation at the time of the shoot. Otherwise, it can take a lot of Photoshopping in post. Well, Topaz Adjust 4 can simulate these effects with one click. Both of the above effects were applied to the same original photo. 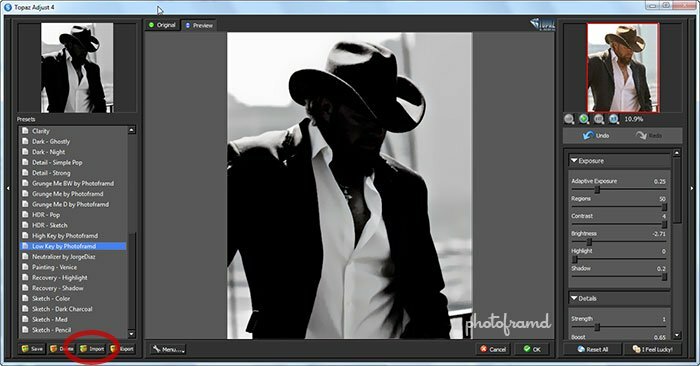 The High-key Effect by Photoframd expands the highlights while reducing the contrast in the entire image. The Low-key Effect by Photoframd creates rich blacks and shadows while reducing details to a near silhouette. Just use Save Link as… to download these presets (PC Users, Mac Users) and import them into Topaz Adjust 4. Both effects can be further refined by adjusting the sliders within Topaz Adjust. You may also want to mask the subject (after the effect has been applied) and replace the background as needed to complete the desired effect. Enjoy. I enjoy reading your work. Have always thought of high-key as blown-out background, and low-key as dark overall. 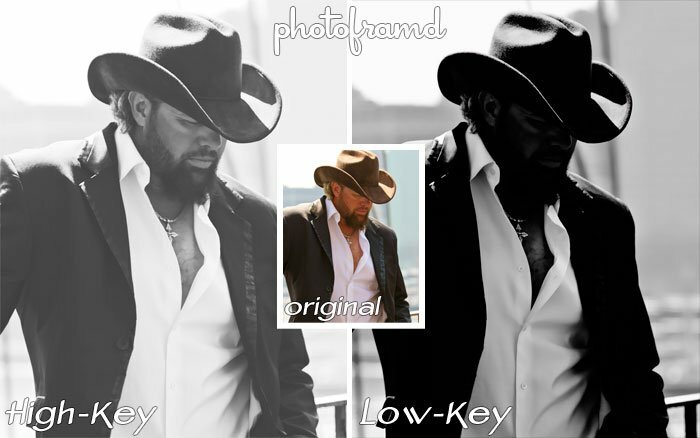 So I would probably go ahead and select the background to eliminate it for the high-key effect. Not sure what I might do to try to transform a photo in to low-key. For me that is usually a matter of composition and often of cross-lighting. Very good point! For a low-key effect, I would definitely silhouette the subject and replace the background with solid black (or a soft black). However, the purpose of the article was to show the effect as created with Topaz Adjust. Had I shown the low-key with a black background, I feel that it would be misleading regarding the capabilities of this plugin.